So with 11th December update, Dice made a significant change of the new TTK. The community has not been reacting really well. The new TTK means they are changing on how much damage to kill on certain weapons that deal with body parts. However, the damage of all weapons to the head remains unchanged and some weapons will not be affected by those changes or very little to limit balance inconsistencies. What is TTK (Time To Kill)? TTK is time to kill, and its balance is what usually makes or breaks a game in the shooter genre. You want your players to feel satisfied when killing someone while also making sure they don’t feel like they installed when they’re killed. When Did Dice Change The TTK? The update was patch on December 11th, which will directly impact the TTK across the game. The reason behind dice to change the TTK is because DICE took their feedback, through forums, data they gather, etc, and decided to change the TTK. But what data are dice talking about? Did they take a survey on certain players, Youtubers or even casual players? The back end update for the game will change a lot of damage values for many of the core weapons in the game. These are assault rifles, light machine guns, medium machine guns, SMGs, Semi-auto rifles and slightly tweaked self-loading rifles as well. The original TTK all do about 85% of the damage that they used to when aiming for anything other than the head. Below is the list of weapons that will have the new TTK balance, which basically means that the weapons have slowed down significantly with how long you kill your opponents. Slightly adjusted: Will deal less damage when hitting the lower body, arms or legs. How Many Bullets Will I Need To Kill Someone Now? So the new TTK will take one more bullet with the weapons affected that I’ve mentioned above unless you’re nailing headshots all the time. Distances will definately need more bullets to kill the enemy players. The original TTK had some significant play style. Players were more in favour of playing defensively. You can kills players easily with M1ai for example, when not playing aggressively, you still can do incredibly well. But With the new TTK changes, it’s going to get worse. Players are now going to play more into defensive style. This isn’t a good thing. I’m not saying you couldn’t play aggressively before with the original TTK, I’m not saying you can’t flank and kill multiple opponents. but we do have to admit, the new TTK favours more on the defensive gameplay. It is easier to play and less frustrating by going defensively. This update is about the fortification building that would not complete correctly. All the that were affected are the defensive Fortifications (sandbags etc. ), stationary weapons and resupply stations.Other issues that were fixed was about the Tides of War Chapter Header showing incorrect days/hours remaining. Dice will add New Core for Battlefield Veteran players while with the new TTKis for the new and casual players. On the Battlefield V forum, to me, Dice had posted an apology letter saying to the battlefield community that they weren’t transparent enough about the TTK changes. So now dice is making two different modes where the “Core” server will be the original TTK. The new TTK will be the same throughout the game. It seems that Dice’s intention didn’t want to divide the community. But players argue that by making a new “Core” mode for the veteran players, it will do the exact thing, which is diving the community. Now that we’ve talked about the new TTK and how it takes one extra bullet to kill with the core weapons within Battlefield V, what do you guys think? Have your say down in the comments below. Should Medics in Battlefield V Get Another Weapon Class? 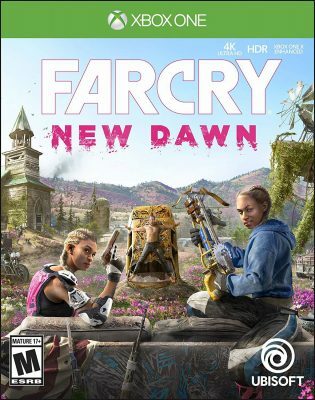 What is Far Cry: New Dawn All About? Officially Launched 2.0 And More About Me?